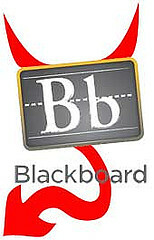 Blackboard has acquired Moodlerooms and NetSpot. I suppose that’s what evil LMS companies do; they take over the competition and then move onto open source providers. This entry was posted in campus life, teaching and tagged blackboard, cms, lms. Bookmark the permalink.